Studstrup Power Station supplies electricity to the grid and heat for the surrounding district heating system, which covers a large catchment area. The two active units in the power station, unit 3 and 4, were commissioned in 1984 and 1985 and have now reached their planned lifespan of 200,000 hours. DONG Energy, in conjunction with the Department of Waste and District Heating in the Municipality of Aarhus, decided to continue using unit 3 in order to maintain and future-proof the supply of heat to the Aarhus area. It is therefore necessary to undertake large scale refurbishment - life time extension - to the unit and some ancillary facilities. Ramboll conducted the technical and economic assessment of the components that are worn out and must be replaced or modernised. The project comprises analysis, development and implementation phases, which will provide the basis for the continued production of electricity and heat for a further 15 years in a cost-effective and timely manner. Ramboll has developed the technical specifications of the components to be replaced, prepared the tender for the works under EU procurement rules and completed contract negotiations with suppliers. The work is now in the implementation phase, which was launched in May 2012 and will be completed in October 2013. 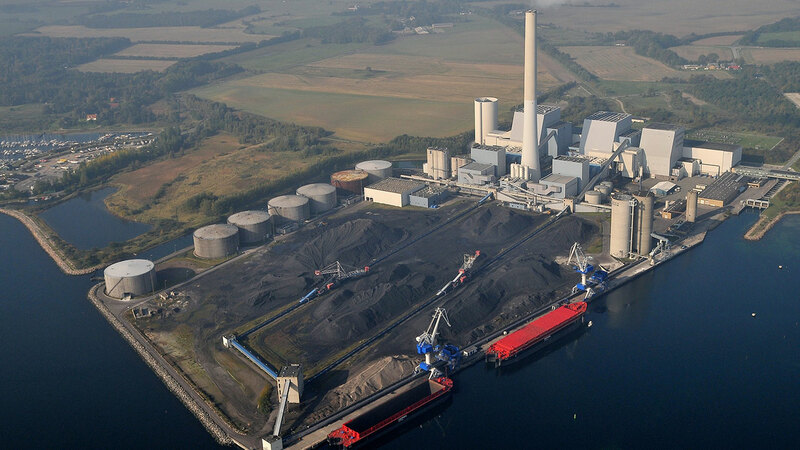 Studstrup Power Station is currently fuelled by a combination of coal and up to 15 per cent straw. DONG Energy's overall strategy is that several large power plants in Denmark switch from coal over to using predominantly biomass as an energy source. A prerequisite for the life extension of the unit is a conversion to 100 per cent biofuels. This means that the boiler must be rebuilt for burning wood pellets in the future. If the 'Biomass Conversion' project is approved by DONG Energy's board of directors in 2012, it is expected that the plant will be commissioned with biofuels by 2015. Ramboll is providing DONG Energy with an overview of the necessary steps required to achieve the efficient and stable operation of Studstrupværket for years to come. Our involvement in the project is also supporting DONG Energy's vision of creating a modern, reliable and carbon neutral heat supply to the Aarhus area.